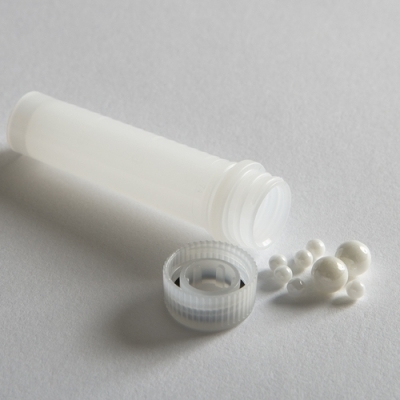 Includes 50 preps of ceramic (zirconium oxide) mix beads of 2.8mm and 5.0mm in 2mL reinforced tubes.Custom design reinforced tubes for bead beating application: O'ring and reinforced materials for dry grinding, valuable or very hard samples. CKMix50-R is designed for wet or dry tissue grinding like hair, whole piece of mouse lung, heart or dry hair, mouse bones and more. Sample size range:from 20mg to 200mg tissue or 200microL to 1.6mL culture.